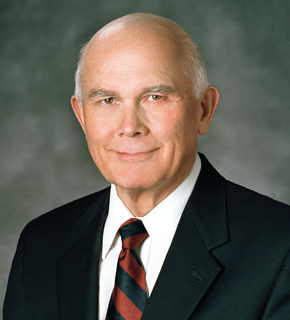 In the March, 2015 edition of Ensign magazine, Mormon apostle Dallin Oaks discusses the topics of atheism, moral relativism, secular humanism and the “great and abominable church.” The article, titled, “Stand as Witnesses of God,” was a devotional address he gave in February of 2014. Though often used in a religious context, this label also applies to the secular world. In the Book of Mormon Gospel Doctrine Teacher’s Manual, instructors are told to “emphasize that the great and abominable church is a symbol of apostasy in all its forms. It is a representation of false doctrine, false worship, and irreligious attitudes. It does not represent any specific church in the world today” (1999, p. 18). In his Ensign article, Oaks refers to 1 Nephi 14:10 and notes that “Nephi was told by revelation that there were only ‘two churches’: ‘the church of the Lamb of God’ and ‘the church of the devil’ (1 Nephi 14:10; see also 13:4–6).” His definition of the church of the devil is not much different from that of his predecessor, Mormon apostle Bruce R. McConkie (1915-1985). In his book, The Millennial Messiah: The Second Coming of the Son of Man, McConkie said the church of the devil is “communism; it is Islam; it is Buddhism; it is modern Christianity in all its parts. It is Germany under Hitler, Russia under Stalin, and Italy under Mussolini. It is the man of sin speaking in churches, orating in legislative halls, and commanding the armies of men” (pp. 54-55). Though definitions like this are pretty much understood by members of the LDS Church, still, when the subject of “the great apostasy” comes up in conversation, it is not uncommon for them to try and soften the blow by insisting that “all churches have some truth.” This, however, does not erase the fact that, officially, Mormons view their church as the only true church (Doctrine and Covenants 1:30) and all others as being false. In an essay titled “ ‘Watch and Remember’: The New Testament and the Great Apostasy,” BYU professor Kent P. Jackson put it more succinctly when he said, “whoever does not belong to ‘the church of the Lamb of God’ belongs to ‘the church of the devil,’ as Nephi announced, then all systems of worship outside of The Church of Jesus Christ of Latter-day Saints would be classified as “the church of the devil” by Nephi’s definition” (By Study and Also by Faith: Essays in Honor of Hugh W. Nibley on the Occasion of His Eightieth Birthday, 27 March 1990, 1:87). In light of these comments, what are we evangelicals to think when Mormons insist they are Christians “just like” us? This article is reprinted from the July—August 2015 issue of Mormonism Researched. This entry was posted in Book of Mormon, Christianity, Great Apostasy, LDS Church and tagged Book of Mormon, Church of Jesus Christ of Latter-day Saints, Dallin Oaks, Great Apostasy, LDS Church, Mormon Church. Bookmark the permalink. I wouldn’t argue with the fact that Satan’s “church” is the great and abominable church, but let’s examine who the Bible itself calls anti-christ. The gopsel of John is where the trinity and incarnation (which are tied together) are reavealed. Its also subsequently where the antichrist is revealed because its tied to trinity and incarnation. John was the churches insider book and only read in church when the catechumens weren’t present up until the time they were going to be baptized, then they mystery of the identity of Jesus was revealed. It was revealed INSIDE the church, not to just any outsider who came along and read the gospel interpreting it in his own way. mormons don’t deny this verse, however they don’t know what this means, Joseph had his own ideas. 1 John 4:3 -And every spirit that confesses not that Jesus Christ is come in the flesh is not of God: and this is that spirit of ANTICHRIST, of which you have heard that it should come; and even now already is it in the world. Though on the surface mormons don’t outright deny these verses they have a different teaching as to what they mean. John would say if you don’t believe in the trinity, you also deny the incarnation. Also those who have a limited view on the trinity have a limited view on incarnation. The incarnation teaching is that the ONE TRINITARIAN GOD becomes incarnate through the word/Son. The fullness of the Godhead dwelt bodily. Since the gnostic’s rejected the flesh, they also rejected the cross of Christ as saving and had their own scriptures. (Mormon’s don’t use crosses and also teach the atonement happened in the garden of Gethsemane, but they do not reject that Jesus was flesh and was crucified) The spirit of deception also tries to lead people away from the cross, there is is an aversion for the cross in both sects though Mormon’s is more subtle. The gnostic/new age of today are using the same tactics as the Mormon’s to try and prove the truth about Jesus and the teachings were stomped down by the big evil catholic church. The spirit of deception doesn’t care consistency in doctrine, he also knows he can’t easily lead good people like Mormon’s away by evil teachings so he does whatever it takes to subtly lead people from the real Christ by slipping in false teachings along with truth. So since its apparent that John is addressing the gnostic false jesus vs the true Jesus, and wolves in sheep’s clothinng, does the anti-Christ John is referring to have more in common with the mormon’s teachings or the Christian? As you noted, it’s just more LDS “double-speak” when Mormons claim to be part of the larger Christian community. It’s a fundamental precept of their religion that all Christians are corrupt and part of the great and abominable church of the devil. Whenever they suggest otherwise you know they are lying to you for some reason: maybe they want to convert you, maybe they just don’t want to offend you. But they’re still consciously lying to you. Even though the Mormon Church rebukes Christians (and Muslims and Hindus and everyone else…) as being part of the great and abominable church of the devil, church leaders are still more than willing to hold their noses and snuggle with us if it might mean more acceptance and converts for the Mormon Church. And the “Parliament” isn’t shy about soliciting money from participants. Yes, the Mormons will glad-hand Christians every day, and even pay to do it, if they think they can increase the number of converts to Mormonism. The next time a Mormon smiles at you, you might want to keep that in mind. Growing up Catholic I was taught that we were the one true church, which Catholicism probably is in a historical sort of way. Throw in the Eastern Orthodox too. Way back when we’d have Mormons show up here who wanted to know what “church” I belonged to. They were really hung-up on that. I’d try and explain to them that denominational affiliation was immaterial. They couldn’t wrap their minds around that. So then I reached back into my Catholic memory and started to use the term, “Mystical Body of Christ” to describe what I belonged to. Well that really blew their minds because they had never heard of that “church”. So it gave me the opportunity to explain that it was peopled by all of those who were born again by the Spirit of God through faith in Jesus Christ. I don’t think they got that either. The LDS need to get back to their roots when McConkie was a war with everything that wasn’t LDS. He had clarity, at least in his own mind, which the LDS sect really doesn’t have today. So atheists are not a church, Satan worshippers are not a church either. Islam is not a church. Nor is Buddhism. It would have to mean another Christain sect, since I know Elder Oaks is not referring to a building, it has to mean another christian sect is teh church of the devil. As for moral relativism, how about “Thou shalt not kill!” Or should it read “Thou shalt not kill unless I send an angel who tells you it’s ok to kill”. Or another example quoted, how about obeying the laws of the land, (12th article of faith)? But then castigating the Supreme Court with counsel to fight and contend for laws consistent with church teachings? The thing with the religion is there is almost always a contradictory exception to any scriptural reference and if a member is having difficulty the answers are 1) go pray about it. 2) Go back and pray about it after you repented. 3) Line upon line, be patient! 4) Milk before meat, we don’t even keep all the commandments now, we aren’t ready for any new doctrine. 5) trust the brethren/prophet. Whenteh prophet speaks the thinking has been done. The brethren can never lead you astray, except when they speak as men, not prophets. How do you know when they are doing which? repeat the steps above. So, who is the great and abominable church of the devil? Well, let’s see…. That seems pretty clear. Thank you, Elder McConkie! According to Joseph Smith, that was Jesus Christ Himself speaking. That pretty much sews it up. Case closed. You’re all in big trouble. So there. Christians, however, generally believe that Mormons have adopted a variation on the early heresy of Audianism, with its belief that God has human form. Named after Audius, a Syrian who lived in 300 A.D., the sect and its beliefs were condemned by Cyril of Alexandria at his “Adversus Anthropomorphites” around 400 A.D. (Cyril was labeled a heretic himself by the Council of Ephesus, although that was “reversed” a few centuries later. But that’s another story…) This, of course, is a broad over-simplification of history, but it’s roughly accurate. Mormons would probably consider Audius the heretic as a kind of hero (if they had any idea he even existed); however, they seem to be content simply labeling modern Christians as heretical advocates for the great and abominable church. In fact, Mormons like to point at the disputes in the early Christian councils as evidence that Christianity fell into apostasy and had to be restored in the 1800s. To the LDS Church, therefore, all Christian sects today are apostate and heretical. So, to summarize, Mormons adopted the early heresy of anthropotheism, which Christians rejected centuries ago. Although one might assume that makes today’s LDS heretical apostates, the LDS conclude that today’s Christians are the heretical ones for their views on the Trinity. Simple, isn’t it?…. I would just like to go on record as saying that the LDS church has no light…….zero. Would that offend the LDS members? Yes it would but perhaps being offended is what they need to be when it comes to the doctrines, rituals and history of their religious sect. I’m not going to do it now, but I’ve often listed the basic fundamental doctrines of Christianity. One time when I did it on this blog, I had an LDS try and claim that his sect believed all of the major doctrinal points. How could someone say that with a straight face? The LDS don’t even see the ridiculous nature of such a claim when in the same breath they try and push an alternative gospel? I had an LDS make the claim on a fb posting that “everything LDS believe is in the Bible”. Oh please, give me a break. But these folks are taught this and they just swallow it and regurgitate it without even thinking about what they are saying. It’s more of this “we’re just like you” thinking. Andy Watson shows up at some LDS ward and goes into a class one Sunday. When it was time for questions he introduces himself and says “I’m a born again Christian having had received Jesus as my Lord and Savior. What can your church do for me?” The old guy teaching the class looks at Andy and says, “Nothing”; they could do nothing for him. I would say that was a God inspired answer and I hope the LDS in attendance understood what was being said. The challenge LDS face is having to explain away their past. We see Joseph Smith’s opening salvo was reporting that God told him not to join any Christian denomination because they were basically corrupt and their doctrines an abomination. So where does the LDS church go from there? It’s one of the foundation stones, if not thee foundation stone upon which Mormonism is built. Without this statement, there is no need for Mormonism. But in order to get people to follow him, Smith had to come up with a way to declare everyone else wrong and himself right. Enter the role of visions and revelations in the Smith tactical arsenal. We also have the Bible being corrupted and not trust worthy. Therefore folks should follow him because he was getting direct revelation from God. Wouldn’t the LDS be a little suspicious of this whole scenario? Obviously not since some a willing to follow Smith and those who followed him, or maybe not. God told Smith by way of revelation that he had no other gift than that for translating the BoM. So when Smith started to exert more authority within his fledgling group, he was called out on it and some left (the group). Ok so hopefully people here don’t get annoyed that I like to get all metaphysical. Maybe it’s not everyone’s cup of tea, but for me and several other former mormon’s I talked to it’s actually the thing that got us out of Mormonism and into Christ. It’s about understanding God (the metaphysical One) and how the Mormon god and the Christian God are different, and how this can easily be shown by the Bible. BUT Just reading the Bible is often not enough. Mormons do read the, but they read it with Joseph Smith blinders one. Many will notice when things don’t line up, and run to fair-mormon and be satisfied with the answers they get there as they really don’t have another option on how to understand them. Mormons believe in “living the gospel”. This includes following the teachings of Jesus in daily life. As an Orthodox believing Christian I totally agree with this. We call it “living the life in Christ”. There is a truth to this life because it is living according to our true (un-fallen) nature even though it’s hard for us to see this nature in our fallen bodies. All lived truths are Christ’s truths. Every person can either live this life or against it no matter what religion you belong to. Where we differ is that part of that mormon gospel living that revolves around Joseph Smiths added doctrines. Basically it’s the mormon to do list to get to the C.K. All the extras. Here’s where having an expanded view of who Jesus is and God as trinity was helpful for me and would be very helpful for Mormons. How they don’t have to reject the fact that there is some truth to the Mormon way of life. They just need to lose the false doctrines. What does it mean that Jesus says he “is The Way”. One thing to remember about Jesus is that he is the incarnation of the second person of the trinity (I talked about persons earlier) Before the incarnation there was no “man” Jesus. Just the infinite un-created light/Word of God, who filled all of space and creation (but people could not see him) The Bible tells us that this light is a divine PERSON. The light is a “HE”. When he became man, he met us at a personal level, he became visible, he spoke to us directly. What did he mean when he said he was “the way”. Was he talking about the fact that he died on the cross on our behalf, or did mean that in a broader sense – himself as the Light and Law that rules creation ( He is speaking as the light incarnate remember) Well, BOTH! When Adam cut himself off from God through sin, because all humans are connected, all of us were affected by this. (Orthodox call this ancestral sin, not original sin. We carry the effects of Adam’s sin, but not his guilt). 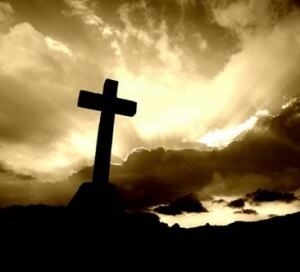 Through Jesus death on the cross, he literally killed death! Why? Because he IS LIFE and death cannot hold life. Now we are connected to the “new Adam” who is Christ. A mere human (or spirit being) could not have done this by being “punished” for Adam’s or humanities sin’s. Who wants a God who “punishes” an innocent person anyways! Not me! Jesus dies for us because he loves us and his death was the only way to restore us to life, to reverse the curse so to speak. If you put the old dead Adam on one end of the spectrum and Christ on the other end (us in the middle), now the question is, do we want to be found dead and unrepentant as the old Adam, or alive through repentance and forgiveness in Christ? I could write a book on Jesus as Light, Life, Truth and way but I will spare you lol. Anyhow that’s just something different for Mormons to think about. Historybuff – No doubt Mormons would point to Audius and say ! SEE look the teaching was there! The real question is why did the Church condemn it? Why does the church condemn anything? The Church councils together and asks – does this teaching fit into what the prophets have revealed about God, what Christ revealed about himself, and what the apostles have taught us about him. What the Fathers have handed down? The faith we have lived and experienced? You knock the rock out of place and the whole church topples and becomes confused, kinda like the Mormonism is today. I would even say all minor discrepancies between Christians today could be solved with the answer to the question who is Jesus. Sorry to interrupt but there’s a news flash out of Utah: Salt lake City has just elected its first gay mayor. …………..and think of this. People sign on to the LDS sect based on an emotional reaction they got when they read the BoM. They felt good and were instructed that that feeling means the book is “true”; true meaning true historically and spiritually. Then we fold into this narrative that God told the prophet who was promoting this idea that other Christian sects were basically an abomination. Now let me ask this. Which of the Mormon sects are an abomination? There are as many “creeds” as there are Mormon groups. They all have their own prophets. They all could claim they have the “restoration”. The FLDS think the LDS is not the “one true church”. They’ll tell you that the LDS have gone into apostasy. I’m pretty sure the LDS think the other Mormon sects have gone into apostasy. This is what happens when folks out-source their decision making and thinking to men who claim to be prophets instead of depending on a deep and meaningful relationship with God. We are told repeatedly in God’s Word to judge those claiming to be prophets not to blindly follow them. If Mormons want to talk about something that is an abomination, how about Joseph Smith claiming to be a prophet and then using his status as such to seduce women who were married to other men to marry him. Then he manipulated a couple of fourteen year old girls into doing the same thing.